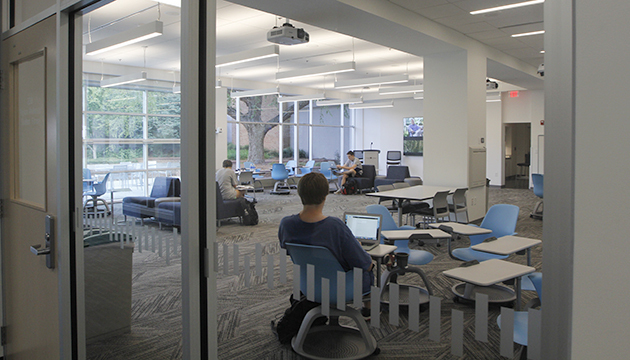 The University of Georgia is committed to excellence in a teaching/learning environment. In line with this commitment, the University addresses all written student complaints in a fair, professional, and timely manner. All University of Georgia students have the right to appeal academic decisions. If you have a complaint related to a faculty member or academic department, it is preferable for students to contact the specific faculty member(s), academic department head, and/or the Grady College. Appeals begin with the individual or unit responsible for the decision. For example, grade appeals start with the instructor who assigned the grade. Appeals of departmental requirements begin with the department head. Appeals of Grady College requirements go to the Grady College Executive Committee. Grady College admissions eligibility requirements and admissions decisions are NOT subject to appeal. A petition that is not approved at one level can be appealed to successive levels. For instance, a faculty decision can be appealed to the department. A department decision can be appealed to the College. A College ruling can be appealed to the UGA Educational Affairs Committee. An Educational Affairs Committee ruling can be appealed to the President of the University. With the exception of grade appeals, the President’s ruling can be appealed to the Board of Regents. The UGA Educational Affairs Committee provides guidelines for students on appeals for the following: 1) waivers or substitutions of Board of Regents requirements; 2) readmission after second dismissal; and 3) academic renewal. For information on such appeals, contact the Office of the Vice President for Instruction, 308 New College, 706-542-4336, appeals@uga.edu, or visit http://ovpi.uga.edu/student-opportunities-resources/student-resources/student-academic-appeals/appeal-process. You may also want to meet with your academic advisor. The Executive Committee of Grady College will review and decide upon all appeals involving Grady undergraduate student programs or requirements that cannot be resolved at the department level. These appeals may include, but are not limited to, grade appeals or requests to waive departmental prerequisites. The Grady Undergraduate Services Office serves as the contact point for appeals. Students who wish to appeal an academic matter should meet with their advisor or the director of undergraduate services to find out about the appeals process. Students who wish to return to the University after first academic dismissal must submit a written request for readmission and meet with the director of undergraduate services. Readmission is determined by the director of undergraduate services. After meeting first with their advisor or the director of undergraduate services, students who wish to appeal a departmental requirement should schedule a meeting with the appropriate department head. After a decision has been made at the departmental level, students may wish to appeal to the Grady College Executive Committee. To do so, students must contact the director of undergraduate services to obtain the necessary form to submit their appeal. Students must also provide a brief written rationale for their request. The Grady College Executive Committee meets regularly every semester but does not hold emergency meetings, so students must coordinate their appeals and timelines with the director of undergraduate services. Appeals of departmental requirements must be initiated before the last day of the semester in which the issue is brought to the department chair. Again, department appeals begin by scheduling a meeting with the appropriate department chair, but students should find out about the appeals process first by meeting with their advisor or the director of undergraduate services. Grade appeals must be initiated within one calendar year from the end of the term in which the grade was recorded. Grady appeals must originate with the instructor who assigned the grade. All other appeals to the Grady College Executive Committee must be initiated before the last day of the semester in which the appeal request is logged with the director of undergraduate services. If an appeal is not initiated by the student within this time frame, the right to appeal the issue expires at the end of the semester. Grady College admissions eligibility requirements and admissions decisions are NOT subject to appeal. Once a decision involving an appeal is rendered by the Grady College Executive Committee, that case may not be appealed again to the Executive Committee. Appeals may be brought before the Executive Committee only once, and they must be brought within the time frame above, i.e., the last day of the semester in which the request is logged with the director of undergraduate services, or within one calendar year from the end of the term in which the grade was recorded for grad appeals. Students are notified via email of decisions made by the Grady College Executive Committee. For more information about the appeals process, contact your academic advisor or the director of undergraduate services in room 312 Journalism Building, or the Office of the Vice President for Instruction (http://ovpi.uga.edu/student-opportunities-resources/student-resources/student-academic-appeals/appeal-process).